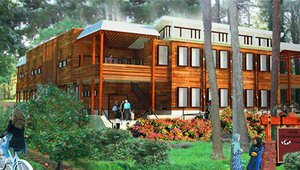 Sustainable Community Media LLC, the parent of ProudGreenHome.com and ProudGreenBuilding.com, publishes news and information about strategies, systems, techniques, and products regarding high performance homes and buildings. This content is highly diverse in terms of type and format, including news, feature articles, expert insights, how-to guides, special reports, case studies, white papers, buyer’s guides, photo tours, videos and much more. Our business model relies on revenue from advertisers and sponsors. These companies advertise products and services through banners, company and product showcases, product listings and other marketing vehicles. While sponsors have no related content control, they also sponsor specific portions or features of the sites. Part of our editorial mission includes the producing and publishing of news, information and ideas that interest and inform readers. We are objective, fair and honest in our news coverage. We use a variety of strategies and resources to gather and report news. We encourage sponsors of our sites to provide information to us for usage consideration. So as to produce the greatest content accuracy and relevance, all information is evaluated for inclusion to our sites by editors and/or operational managers, who judge content for quality, relevance/usefulness, and objectivity. We strive to be an unbiased source of news and information. Our foremost goal in reporting news is to be accurate, truthful, balanced, and fair to all parties. We are advocates of the industries we cover, and generally strive to advance causes and issues important to those industries. Sustainable Community Media LLC encourages readers and credible industry professionals to contribute digital content. Guidelines for this content is high quality, relevant/useful, and objective. We focus on topics of interest to our readers and viewers, assuring that content is not an overtly promotional tool for any company or product. We are dedicated to truthfulness in all content. While we encourage the submission of commentaries, the company does not guarantee they will be published. We may accept or reject copy as is, edit the copy or ask the sender for revisions. Sustainable Community LLC is not responsible for the accuracy of content or other resources provided by outside parties. Links are checked for accuracy at the time of publication, but as the internet is a changing medium, these links may change or become invalid. We seek to provide coverage of all relevant individuals, companies, products and trends, and are not inappropriately influenced in that coverage by advertisers. Our judgment of what news to include on the site, what sources to interview for stories and what photos/graphics we use is determined only by our attempt to offer high quality, relevant/useful, and objective content to our readers. We strive to meet the highest standards for accuracy and completeness. If, after a news item or any content is published, an error of fact is learned, we will immediately correct the inaccuracy. We do not, as a matter of policy, change direct quotes or make other changes to accurate copy once published, unless, in our judgment, the change serves to improve the story. Factual errors should be reported to our editorial department, identifying the story and details of the error. We welcome and value any and all reader feedback and criticism. We will immediately investigate any claim of factual inaccuracy. We respect our audience and disclose information to assist the evaluation of credibility of our content. Content that is sponsored must meet all editorial requirements (quality, relevance/usefulness, objectivity) and will be identified to inform the reader of the sponsoring relationship. Sustainable Community Media LLC does not necessarily share the opinions expressed by our valued subject matter experts and assume no liability or responsibility regarding any issue regarding these opinions and insights. Relative to our own content, we use photos (only) that we have purchased from credible image-sources. We accept no responsibility or liability regarding any photo or image that is provided to us by outside sources. Sustainable Community Media LLC respects the value of content and the development of same. We will not inappropriately use any software, widgets, plug-ins or apps inappropriately acquired. Sustainable Community Media LLC reserves the right to change the Editorial Policy as necessary to be up-to date and accurate.